Giselle Academy of Dance and Theatre Arts is ISTD Approved Dance Centres (ADCs) and has been assessed and approved by the ISTD to ensure we meet their high standards. 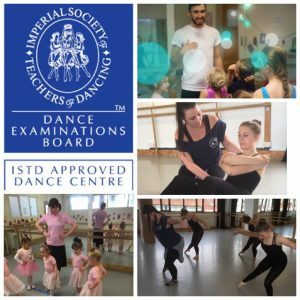 The ISTD new Level 4 Diploma in Dance Education (DDE – 120 university credits) is the entry level ISTD dance Teaching exam and is a Level 4 foundation degree level qualification, recognised in the UK and internationally. Students can commence during the academic year they become 17. There is no upper age limit as long as you can still dance and demonstrate at an ISTD Intermediate vocational level. This is a Level 4, 2 year course, is aimed at candidates 17 years of age and over who wish to commence their training to become a fully qualified and accredited ISTD dance teacher. The DDE has been accredited by Ofqual at Level 4 on the QCF which is roughly equivalent to the level attained at first year degree level. We also offer a fast track course for students who have achieved the Level 3 DDI qualification and wish to complete their training in order to become a fully qualified and accredited ISTD dance teacher. Learners must be at least 17 years of age and hold (or be working towards) their Intermediate qualification in the genre they wish to study. DDE is unit based, with 5 units in total, each individual unit also has its own level 3 or 4 level university credit value. On qualification, this entitles you to enter your own students for ISTD exams and also progress on to either the level 6 degree course or Licentiate, Fellowship and perhaps examiner status, ie. 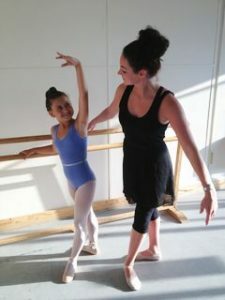 you could work initially as a freelance teacher for a private dance school or college or open your own studio. If choosing to progress on to level 6, you would gain QTLS status and could work in a state school as if you had studied a degree plus PGCE year. 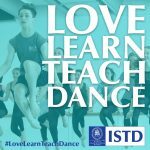 The ISTD’s Level 4 DDE is an achievable and streamlined teaching qualification, and is an excellent introduction to a career in teaching dance. The contextual nature of the assessment will ensure that student teachers develop the practical skills and knowledge required to enter the teaching profession and to develop a sustainable career. In studying the DDE, candidates cover a breadth of material, leaving them fully qualified within their chosen dance genre. Depending on individual experience and the chosen format of studying, the Level 4 DDE can be achieved over within a 2-3 year programme (One year fast track available to those who already hold DDI), combining lectures and seminars, classes, workshops, tutorials, online study and home study. We offer DDE units at different times i.e. Friday day times, Sundays and flexi tutorials via Skype. Much of the DDE can be studied and completed online via a Learner Management System (LMS). Totara is the name of this system, which gives students, Approved Dance Centres and Approved Tutors 24/7 access and lots of functionalities to manage their respective learner journeys and tasks. If all units are being studied, a reduction in fees is offered. Exam fees are charged at ISTD rates, plus pianist or CD operator costs. Student teachers with significant prior teaching experience may be able to apply for an exemption for some areas of the qualification or perhaps a unit itself. The ISTD offers set unit exemptions to candidates who have gained some of the more recognised dance and education related qualifications. 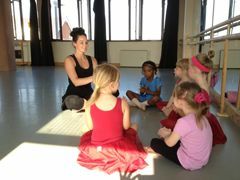 We also offer Advanced 1 and 2 Ballet, Tap and Modern classes at Giselle. Further details on application. Successful completion of your Diploma in Dance Education will also enable you to access higher level qualifications should you so wish, depending on your career aims. To apply to be an ISTD examiner at the highest level you would take the Licentiate, followed by the Fellowship qualification. You also have an option to apply for the level 6 higher Teaching Qualification (Diploma in Dance Pedagogy) which would enable you to apply for Qualified Teaching and Learning Status (QTLS) to teach within the state education sector or Further Education. Following Level 6 you could apply to Middlesex University to complete their MA. There are several routes that enable you to continue to develop the level of your qualification should you so wish. Please either call 07833578855 or email giselletheatre@gmail.com for further information.